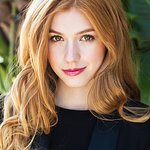 Katherine McNamara is an actress and singer set to play Clary Fray in the upcoming ABC Family Series Shadowhunters and Sonya in the Maze Runner film series. She is celebrity spokesperson for the United Nations Foundation's Girl Up SchoolCycle Campaign. Google trends for "Katherine McNamara"
We don't have any videos related to Katherine McNamara.